Elysia Diaz is a licensed Realtor and broker owner Elysian Realty, a real estate office in the Green Bay, WI area. 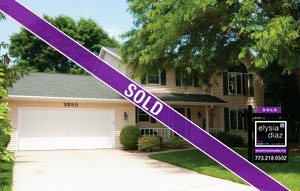 If you are currently looking for Green Bay homes for sale, Elysia will be able to guide you through the home buying process to make the best decision for your needs and budget. Whether you are ready to buy your first home or thinking about upsizing, downsizing, or the perfect vacation home, Elysia has the skill, professionalism, and personal touch to help you meet your home buying or home selling goals. Call, text, or email your expert Green Bay Realtor Elysia if you are looking for a qualified Realtor that responds to your real estate needs. Looking for a home or real estate? Use the search feature to find homes for sale in Green Bay, WI. The search has the most up to date information from the MLS with all houses listed in Brown County and most of Wisconsin. If you find something you are interested in contact me and I can schedule a home showing. Or let me know what your home search parameters are and I can help you find the perfect piece of real estate. Remember buyer’s agent fees are paid by the seller so use Realtors to your advantage. Looking for Open Houses in Green Bay? Check out Elysia’s listing of Green Bay open houses. Whether you are ready to buy a home or not she invites you to attend and feel welcome at all her open houses. Click here to visit her open house page. Elysian Realty opened their Green Bay realty office in 2016. The ER real estate team is quickly growing and becoming one of premier real estate and brokerage firms in the Green Bay area. The Elysian Realty offices are located in Green Bay at 801 Hoffman Rd, Ste 112 -1, Green Bay, WI 54301. If you are interested in joining the Elysian Realty team and hearing about what they can offer you as a Realtor, please contact Elysia today! Stats include the entire Brown County Area for the Year of 2016. Want some real estate statistics on your neighborhood? Contact your expert Green Bay Realtor Elysia Diaz to get information on your Green Bay area neighborhood. Green Bay is wonderful mid sized city in Wisconsin. Green Bay is located in Brown County, WI which is bordered by Kewaunee County, Manitowoc County, Calumet County, Outagamie County, and Oconto County. Please use this website find Green Bay homes for sale and houses for sale. The property search aims to be easy to use and also includes real estate from all nearby counties and most of Wisconsin. Fill out the request a home showing to schedule your next showing. Relocating or Moving to Green Bay, WI? As someone who has relocated to Green Bay herself, Elysia has a great understanding of the information you want to know. Elysia moved to Green Bay, WI in 2009. She had previously lived in Chicago, IL and Tampa, FL. Want the inside scoop on what it is like to live in Green Bay and what neighborhood would be best suited to you and/or your family? Contact Elysia and she can help you throughout the relocation process.